A close-knit team of connectivity experts, our leadership team has worked together for more than a decade building software tools that connect systems, organizations, and data. We share a common goal of becoming the best connectivity provider in the market. Our decisions are guided by the long-term success of our customers and lasting win-win relationships based on continuous productivity gains and constant search for excellence. Gent has been building award winning tools for developers for more than two decades. Prior to starting CData, Gent founded /n software, a leading provider of communications and security components used by hundreds of thousands of software engineers around the world. Gent holds a BS in Computer Science from North Carolina State University. Founder and CEO of CData Software, Amit defines the CData technical platform and business strategy. His leadership has guided CData Software's rise from a startup, to a leading provider of data access and connectivity solutions. Amit holds an MS in Computer Networking from the North Carolina State University and an MBA from the Duke Fuqua School of Business. Tomas has over 15 years of software development and systems architecture experience. 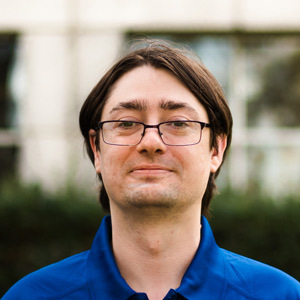 Most recently, Tomas was a Senior Microsoft Field Engineer, where he supported Cloud initiatives for high-profile customers on the Microsoft Azure Cloud Computing Platform. Tomas holds a bachelor's degree in Systems Engineering from EAFIT University. Eric leads CData's global marketing strategy and execution. One of the founders of CData, he is passionate about the intersection of marketing, technology, and data. Previously, Eric led Marketing and Business Development for /n software, where he helped to shape the company into one of the most trusted brands in the developer tools industry. Eric holds a BS in Economics from the University of North Carolina at Chapel Hill. Tony is the Chief Financial Officer and VP of Sales of CData Software. He is responsible for sales and financial activities of CData and all of its subsidiaries worldwide. Tony brings 16 years of financial and sales expertise to the organization. He holds a Master of Accounting degree from North Carolina State University and is a licensed CPA in North Carolina. As General Manager of Integration Services, Mike is responsible for executing on the company's application and product strategy. Mike holds a BS in Computer Science from the University of North Carolina at Chapel Hill and an MBA from the Duke Fuqua School of Business. As VP of Operations, Spencer is responsible for data-to-day operations, managing infrastructure, and streamlining technical initiatives to support growth, including leading and managing all of CData's Technical Support Teams, a critical pillar of the business. Spencer holds a BS in Computer Science from Appalachian State University. Kathy is responsible for all legal functions and oversight, including corporate governance, privacy, mergers and acquisitions, intellectual property, commercial agreements, and organizational processes and policies. Kathy holds a BA in English from Northwest Nazarene University and a J.D. and High Technology Certificate from Santa Clara Law School.